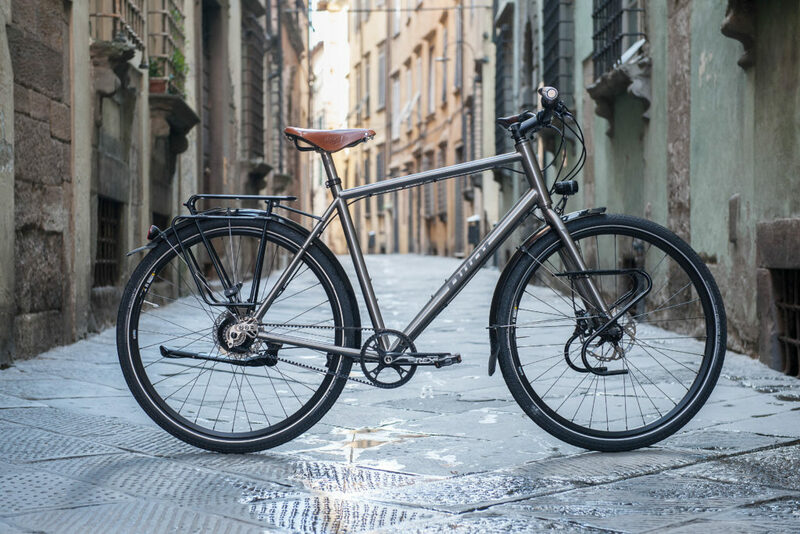 The VAMOS titanium touring bike models are designed to conquer the most remote areas. Go on adventurous trips all around the world and the Dutch round around the church. 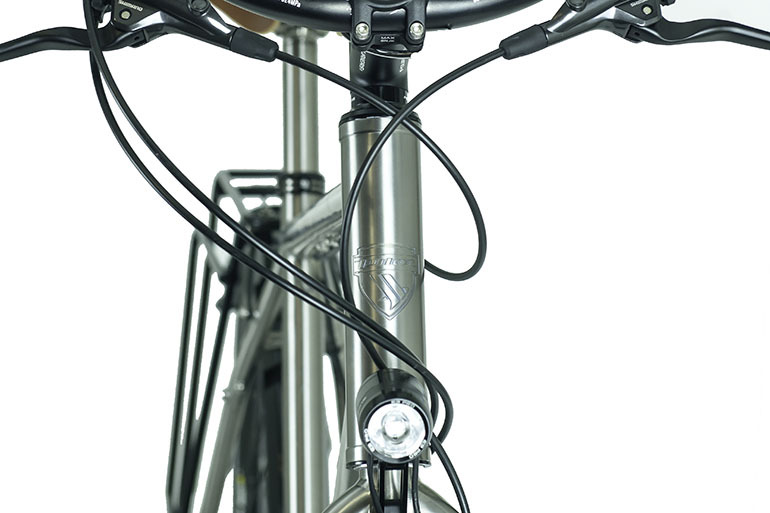 Need for maintenance is kept to a minimum, the Rohloff Speedhub only needs service once a year or every 5.000 km. 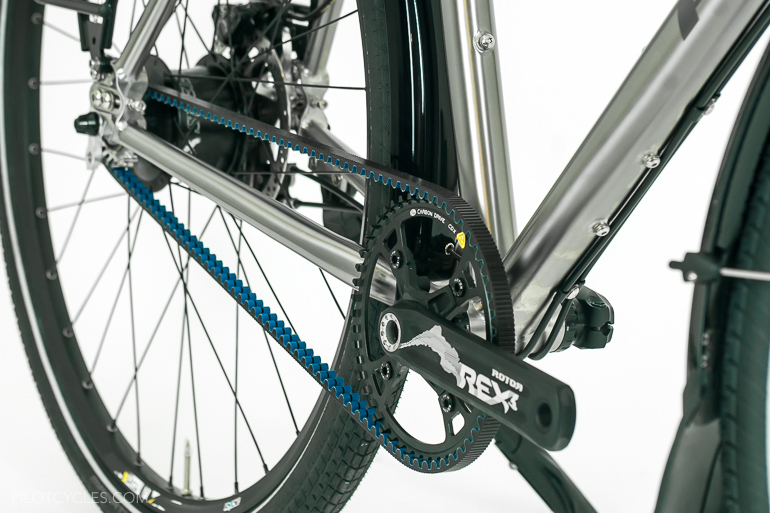 The Gates belt drive system lasts way longer than any chain system. Pilot VAMOS is ready for luggage and sophisticated lighting. The frame is built to last a lifetime and many adventures.